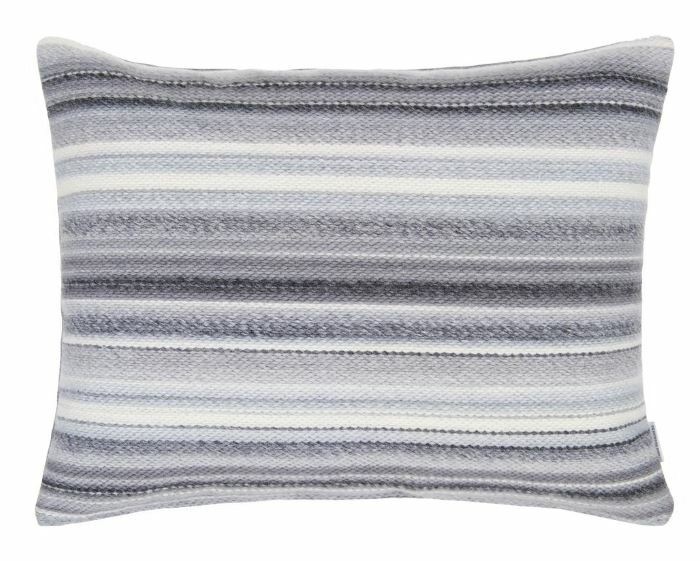 A wonderful wool-rich striped cushion in a large rectangular size. Horizontal bands of charcoal and grey, woven in a rich heavy weight yarn for warmth and texture. reversing to Designers Guilds best selling Conway heavy linen in grey.